Blog for members of the National Police Web Managers' Group. We are people who work for police forces in England, Scotland, Northern Ireland and Wales, maintaining, developing and improving police web services. 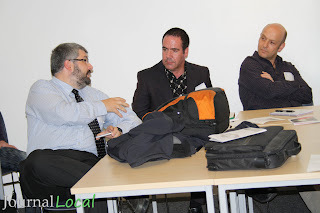 Having taken part in a session entitled 'Press Office vs Bloggers' at the recent #HyperWM event at Walsall College, and the 'Tweets' since the event, I have decided to write this blog to capture the issues and what can be learnt. In the session it was suggested that Bloggers are negative about organisations and therefore this is the reason that they are not being engaged. There were a number of bloggers within the session all of whom stated that they are fair in their articles – if sometimes a little persistent! They want to work with the organisations to help them get the information to the local people that they 'represent'. To do this they need a meaningful conversation with the press office team. A press officer for a local government organisation stated that they are there to communicate and provide information to the media and not the bloggers. I don’t think that bloggers can blame the press officers themselves as they are working within the guidelines set out for them by the organisation. Therefore the issue I think is more to do with lack of understanding by those leading communications within these organisations - the way people receive their information has changed – people will view TV programmes when they want to (SkyBox, iPlayer etc), will get news information through feeds from multiple sources and Twitter, etc. Therefore in my opinion if the press office embraces the fact that bloggers can help get the information out to the communities this can be a positive thing for the organisation. As a good friend has mentioned "Press Offices are like Life on Mars - still in the 1980's". "it was suggested that Bloggers are negative about organisations and therefore this is the reason that they are not being engaged." I wonder if press officer's fed more (possibly positive) stories/information towards the blogging community, they might be too busy trying to write up about those stories to concentrate on the negative. A blogger, not having many sources for a story, will focus more on what they do know rather than what they don't, which can come out with a negative angle. A psychological battle could be won just by being the source of content, shifting focus away from the negative and back to the positive. Thanks for the comment. I would agree that Press Officers need to provide more information to the community - not only the bloggers. This is also true of the other business areas within the organisation that need to publish their information / Opendata. Being more open and transparent will hopefully forge strong relationships with bloggers and others representing the community. I believe that this is the key to a successful relationship. Like most people if you are honest with them, provide them with a timescale that you will respond to them they will be more likely to appreciate the pressures you face. 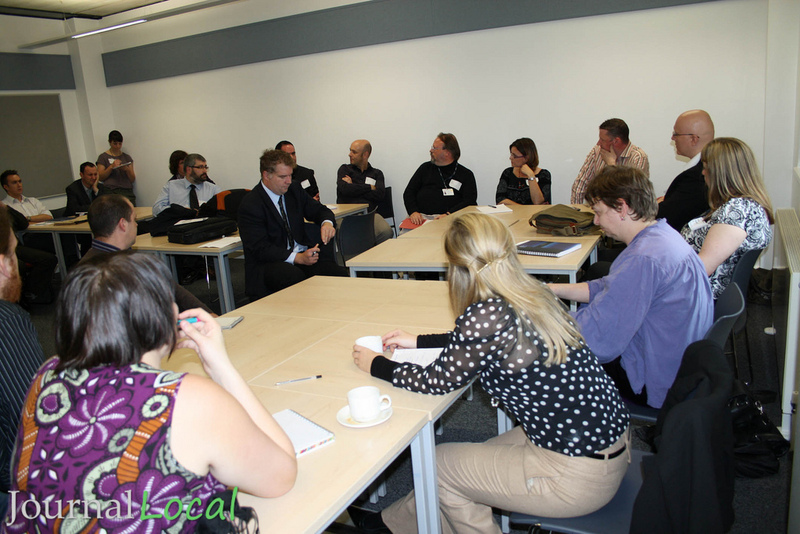 The general consensus in the room on the day seemed to favour the point of view that bloggers are generally positive in their posts as they are looking to help public sector organisations cascade their messages. Just a quick note to answer Matt's question regarding the moderation of this blog site. Thanks for the explanation about moderation ;) I didn't mention it, but thanks all the same. You can never be too cautious with all of those pesky spammers about. On a positive note, the Staffordshire and Stoke-on-Trent Police PR department, and Police Men and Women on the beat have been extremely supportive of the hyperlocal scene in Stoke, and have been embracing it for a number of years. By having these narrow focused channels to feed information to, and hopefully have it channelled the benefits will soon hopefully be felt.